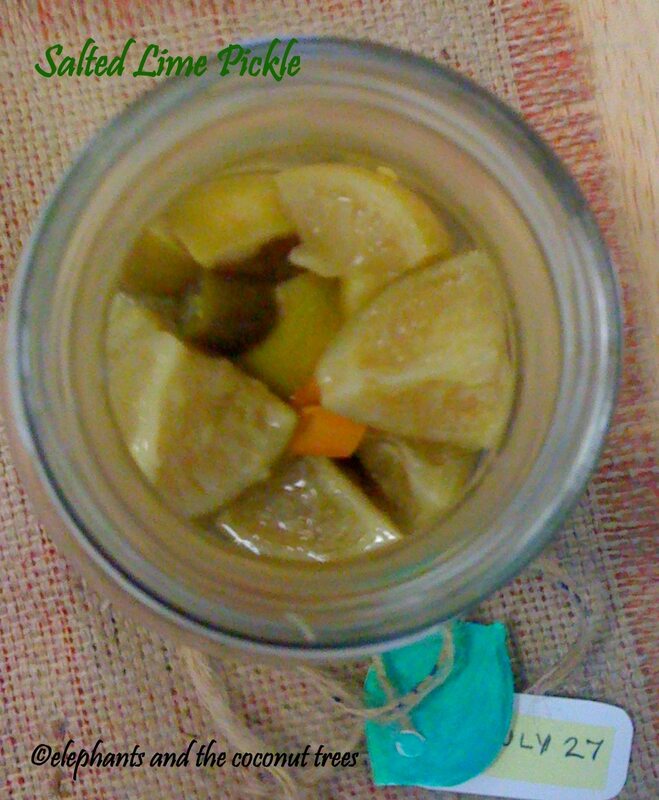 The most primitive way of pickling is by adding salt and preserving for long time use .It is still an efficient and easy way for making lime pickle. This goes well with rice, dal and other bland foods.Best for taking on road trips.I was always given upilitta naranga and rice porridge whenever I had fever.It is such a relief to bite on this tangy lime when the sense of taste is lost temporarily . 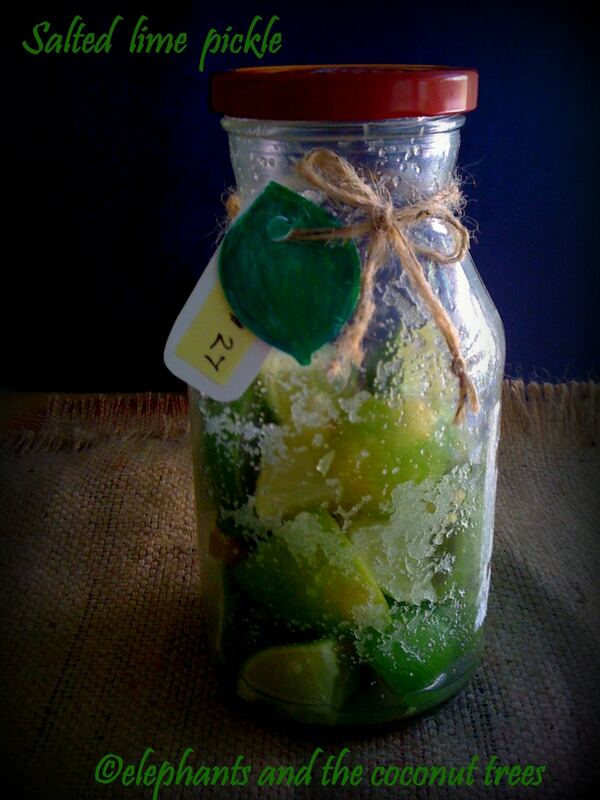 You will need some patience till the lime cures in salt .Oh noo..not that long… just a month. The best place for letting the pickle rest is in the back rack of your pantry .If you forget it for two months also nothing is going to happen to it. 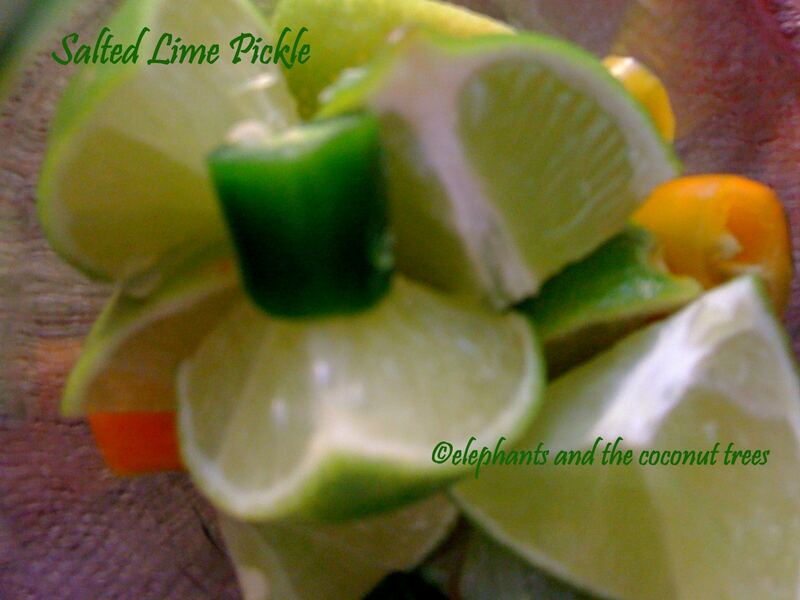 Basically the salt preserves the lime and cures it making it tangy pickle .The lime peel becomes soft but the lime is still juicy. if any.Cut into 4 or 8 pieces. 2.Put all the ingredients into a bottle give it a good shake.Close it and let it rest for a month .u can shake the bottle once every week may be. 3.When the skin is soft its ready to be served. 1.Store in a cool ,dry, dark place in room temperature to cure. You can refrigerate after you start using. 2.Try a small batch first ,you can make large quantities and store. 3.Always use glass bottle for making this and the lid’s inside should be non metallic as the acidity will corrode it. 4.To avoid fungus attack always use dry bottle, spoon etc..